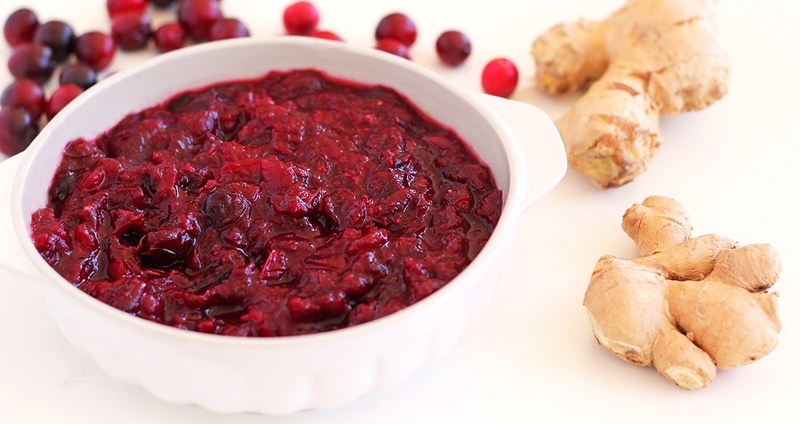 This ginger-cranberry sauce is quick and easy to make; plus it doesn’t have any refined sugar! To save yourself time on Thanksgiving, feel free to make this the night before and let it cool in the refrigerator overnight. If a sweeter sauce is desired, substitute fresh orange juice for the water, or add additional maple syrup to taste. Add water to a medium saucepan and bring to a boil. Add the cranberries, ginger and maple syrup. Reduce heat and simmer 10 minutes, or until sauce is reduced and thick.